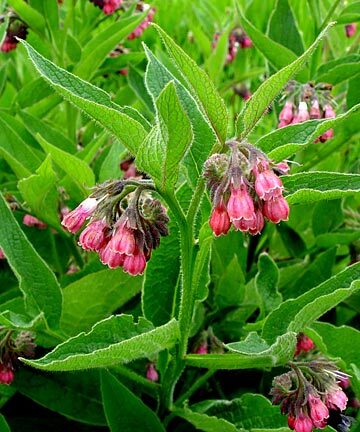 Comfrey is the plant every garden should have. I dug out a clump a few weeks ago, and the root snapped. Still, I had in my hands a 56cm long taproot! Now all of you gardeners should go “whoa!” for you know that the deeper travel the roots, the more drought-resistant the plant is. It is also unbeatable at breaking up compacted soils. Besides, the plant mines a plethora of nutrients (mostly potassium, calcium) leached far deep into the sub layers of the soil and brings them up to the surface and stores them in its stems and leaves. Australian soils are known to crucially lack potassium… Comfrey is here to help! 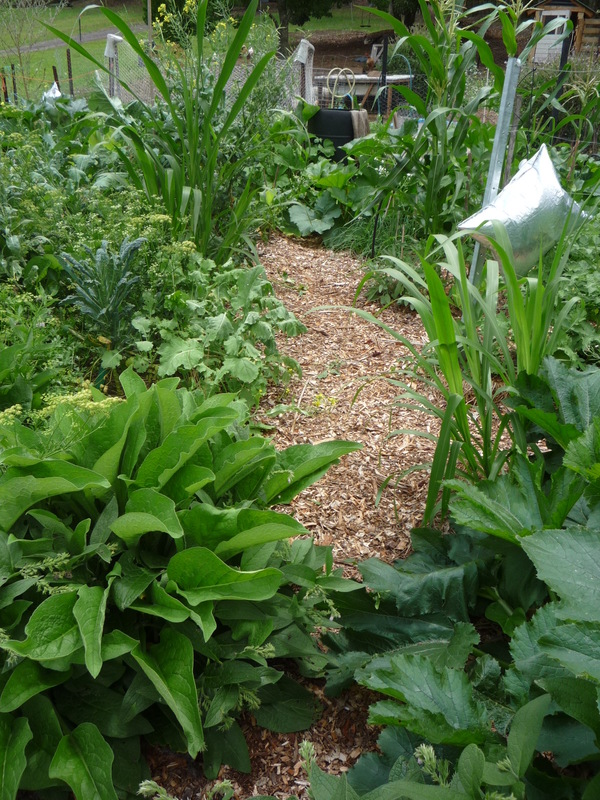 I grow comfrey on the edge of my garden beds where it is naturally drier than in the centre. I plant comfrey at the base of fruit trees, on contour in my fruit forest, along the edge of a garden where they will act as a barrier against invasive weeds and grasses (it’s worked very well with kikuyu here). Break a finger long root and bury it under 5-10 cm of soil. Plant every 20-30cm for an edge-effect. Once the plant is well established, you can pluck the leaves and use as mulch, as compost activator, as feed supplement for poultry and rabbits, as poultice to heal bones and wounds. You can also make a compost tea to use as foliar spray or soil drench. This is an unsurpassed tonic for plants that commercially available bottled chemical alternatives won’t even beat. Use at 1:2 dilution for a soil drench around plants. See you at one of our courses to learn more about permaculture gardening and farming!